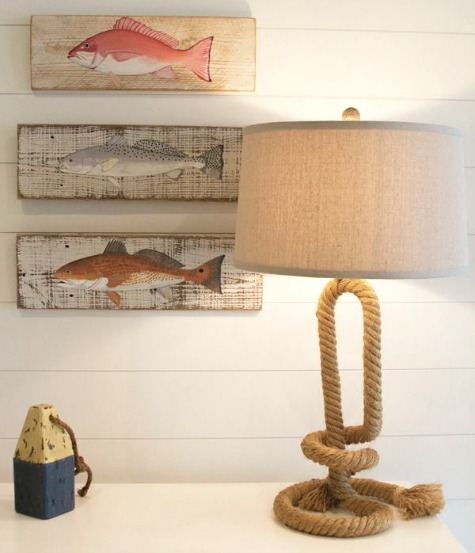 Rope lamps remind of life at sea and at the dock, and they bring great nautical ambiance to the home. Many charming rope lamps to choose from. 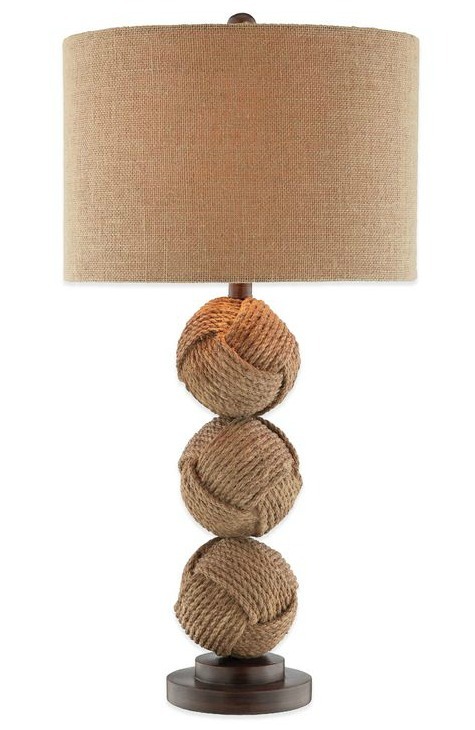 Monkey Fist Knot style table lamps like the one above, lamps with a creative rope twists, as well as floor rope lamps. 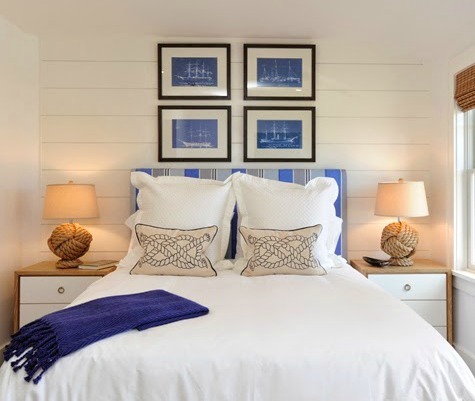 Knot rope lamps in a nautical bedroom by Nina Liddle Design. 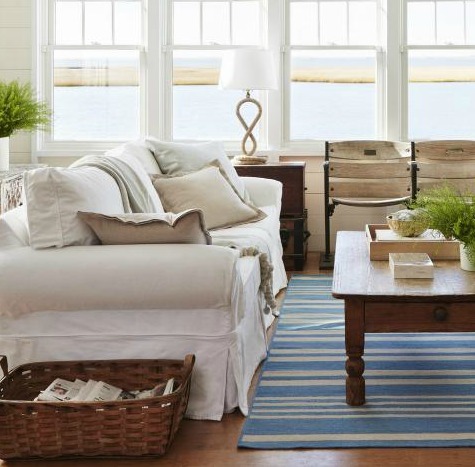 These are Pottery Barn's Knot Lamps which are no longer sold. 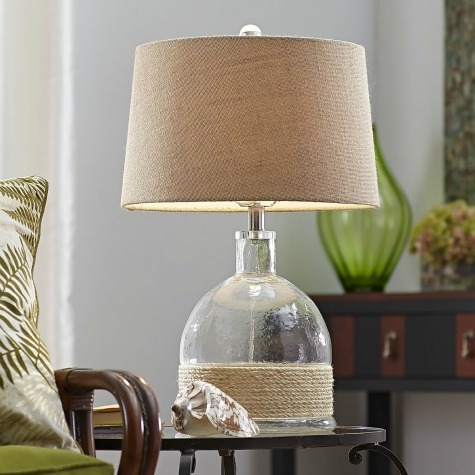 Simply look for a similar lamp Wayfair (or see below). 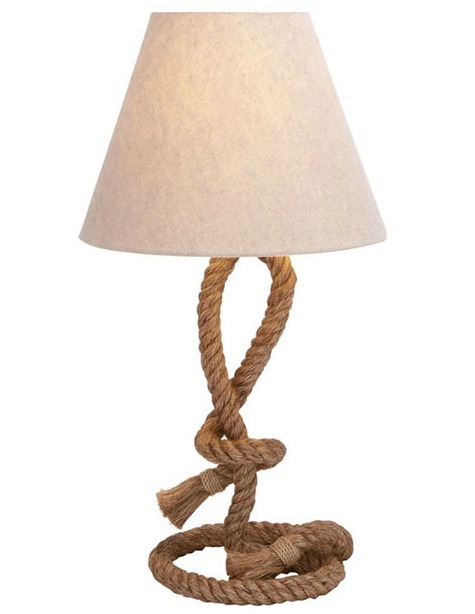 And check out this Pottery Barn DIY Knock Off Rope Knot Lamp. 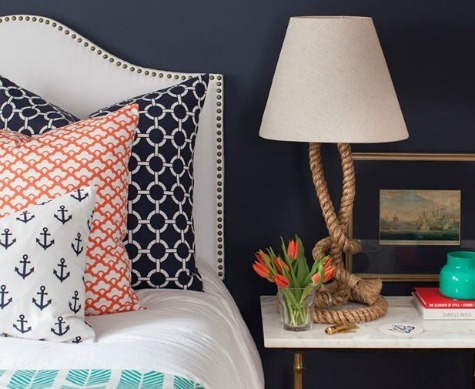 Twisted rope lamp in a nautical bedroom by Caitlin Wilson Design. 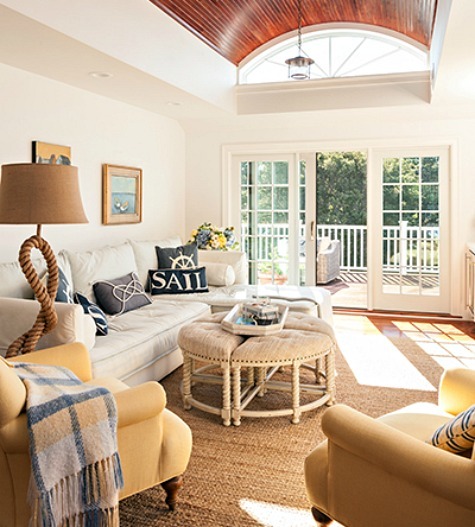 Twisted rope lamp in a Jersey Shore Home. 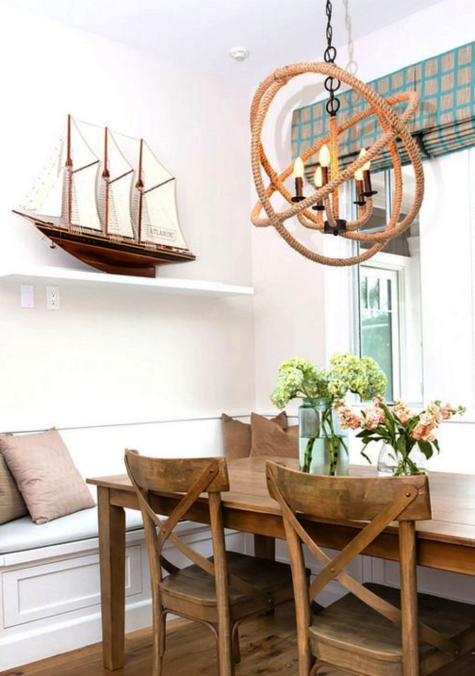 And designer Meredith McBrearty used a twisted rope lamp for a Florida cottage. An easy DIY Rope Wrap Idea. 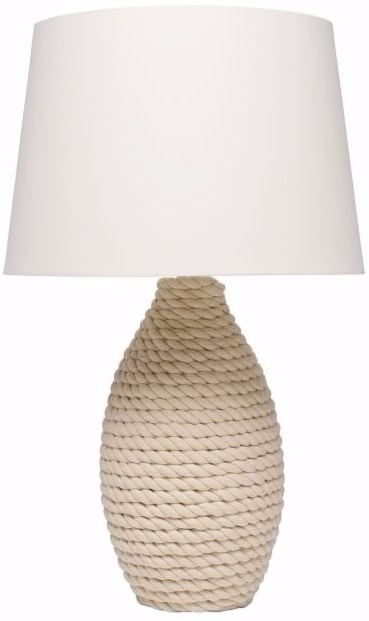 This cute rope lamp would be perfect in this Elegant Gray Room. 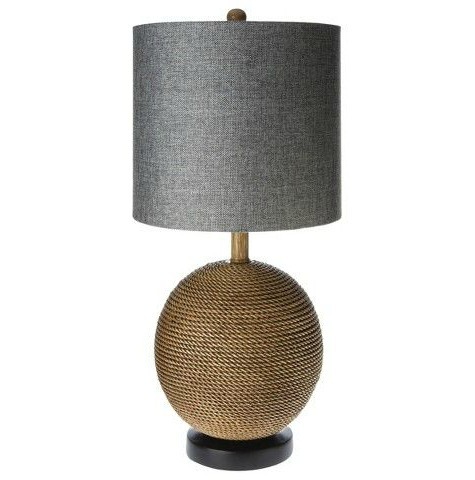 Twisted Rope Floor Lamp from Overstock, seen in a home by Gable Building. Room design by ASD Interiors, using a rope orb hanging light above the dining table. 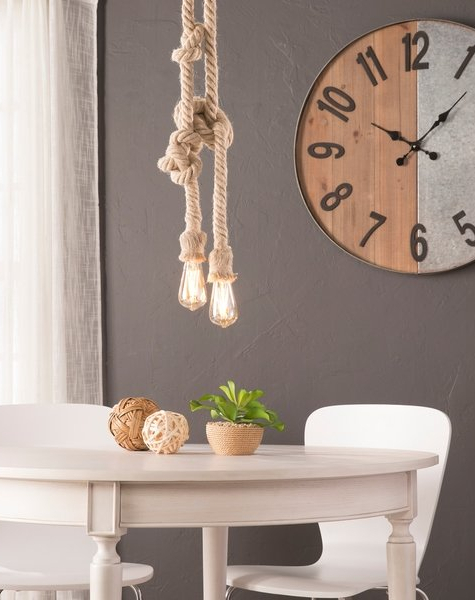 From simple rope pendants to majestic rope chandeliers. 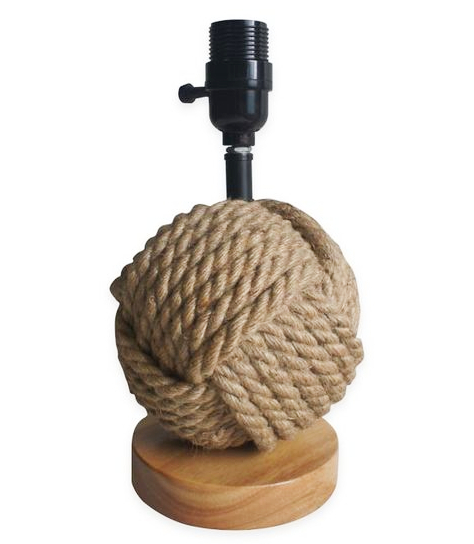 Make sure to click on the store links provided to view all rope lamps. 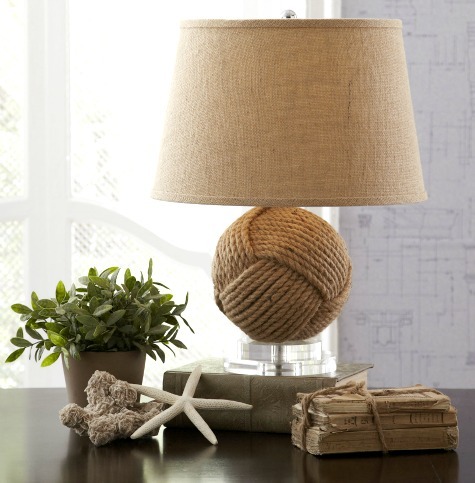 From small to tall, chunky to elegant, wrapped to knotted, rope lamps compliment the coastal casual & nautical decor style beautifully.